Looking for Swan Hill accommodation but want the serenity of a peaceful lake frontage? Then you have found it at last in the gateway to Swan Hill, Lake Boga Caravan Park. 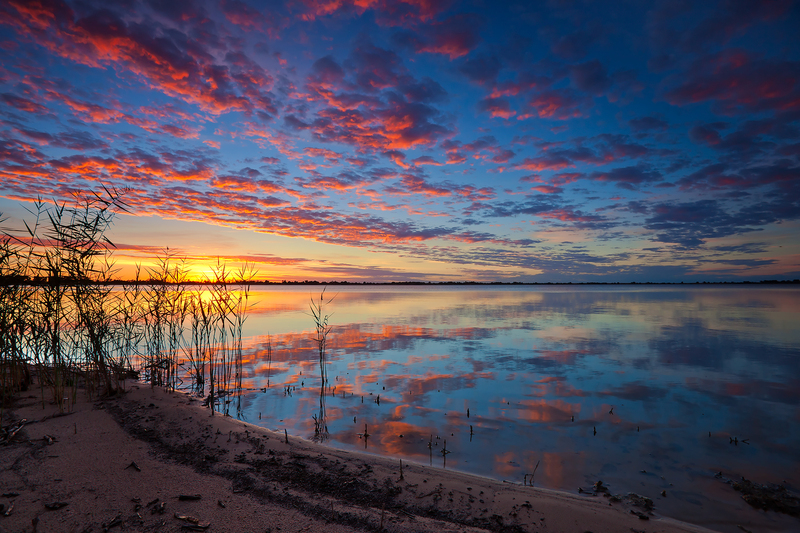 Only minutes from Swan Hill, the Lake Boga Caravan Park is nestled on the shores of Lake Boga, the iconic gateway to Swan Hill. Bring your caravan or tent and enjoy spectacular views from your lakeside grass powered or unpowered site. Alternately hire a cabin and enjoy the great view from your deck. We have a modern amenities block, camp kitchen and kiosk where you can purchase amazing coffee, ice-creams, slushies and ice. During World War 2 Lake Boga was the No. 1 RAAF Flying Boat Repair Depot. The Catalina Flying Boat Museum is located on the original site in Willakool Drive. Go visit the famous Catalina Flying Boat A24-30 and discover the underground communications bunker. The Observatory and Glass Studio is another must see just south of Lake Boga Caravan Park on the Murray Valley HWY. Call in and gaze at the Milky Way and see planets such as Jupiter with its cloud bands and Saturn with its spectacular rings. The lake is home to a range of aquatic species and has an abundance of bird life. With beautiful lakeside grass sites and modern amenities Lake Boga Caravan Park will be a destination you will visit time and time again. And don’t forget that Lake Boga is renowned as an aquatic playground. Use a kayak, jet ski, speed boat, sailing or you can even go swimming. All these activities are welcome on the Lake. So remember we have the best waterfront views of any accommodation either in or near Swan Hill. So why not come and look for yourselves. If you don’t find your preferred accommodation available online please give us a call on 03 5037 2386.